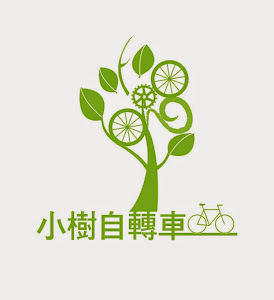 About four years ago I was contacted through this blog regarding a proposed bike trip around Taiwan. This is not too unusual. 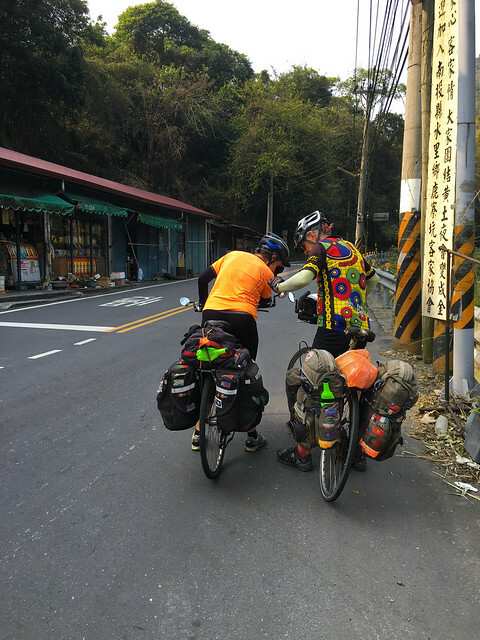 I often field questions and provide advice to would-be travellers to help them better plan a trip around Taiwan. Personally, I enjoy the process of collaboration and, as a long time resident, I also share a sense of deep pride in my home and its potential for cycling. 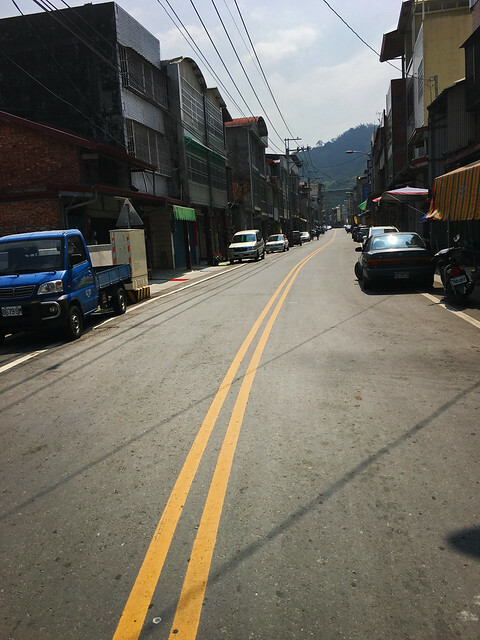 I would hate for someone to leave Taiwan feeling disappointed or underwhelmed. 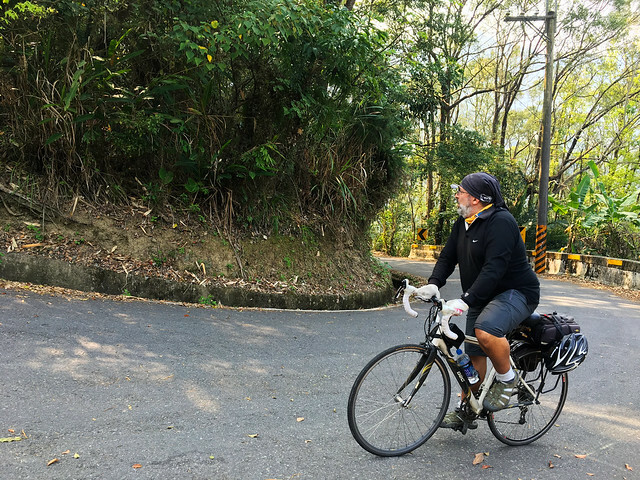 I know how much I enjoy cycling Taiwan and I want visitors to feel the same sense of excitement. I think of it, in some measure, as soft diplomacy. Moreover, I really enjoy meeting great new people. 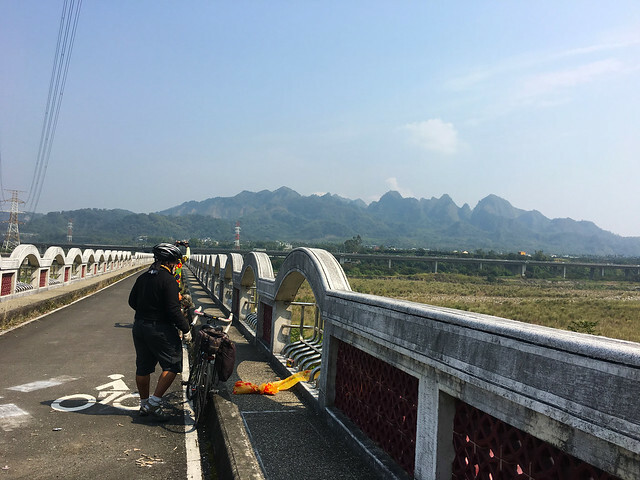 More times than I can count, I have spent hours in correspondence and plotting routes for strangers to make their cycling trip a bit more than simply following the largest and ugliest highways around Taiwan. And more times than I can count, I never hear any more from the people again. 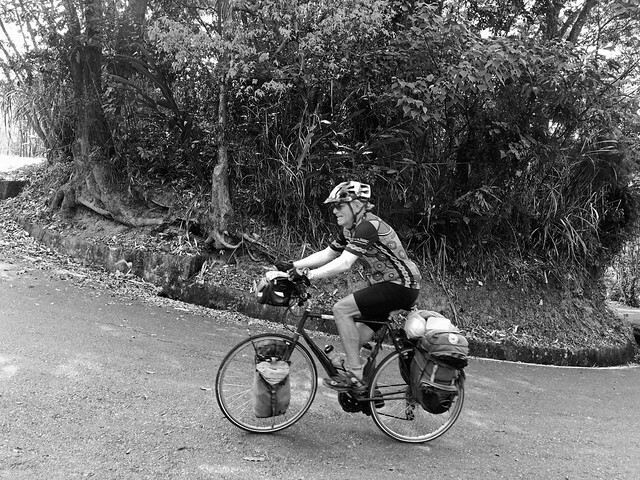 It is in this light that I was pleased to see a message in my Inbox from Andrew Jacob of Toronto as he was ready to resume his plan to cycle Taiwan with his lovely lady, Ms. Alison Cohen. 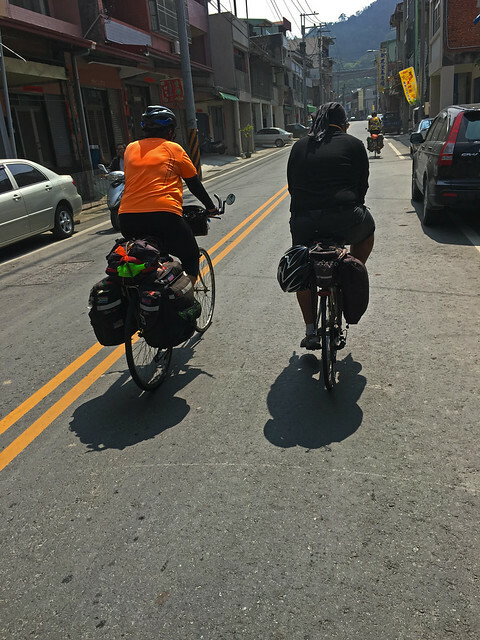 They also hoped to meet me on their way through Taichung. 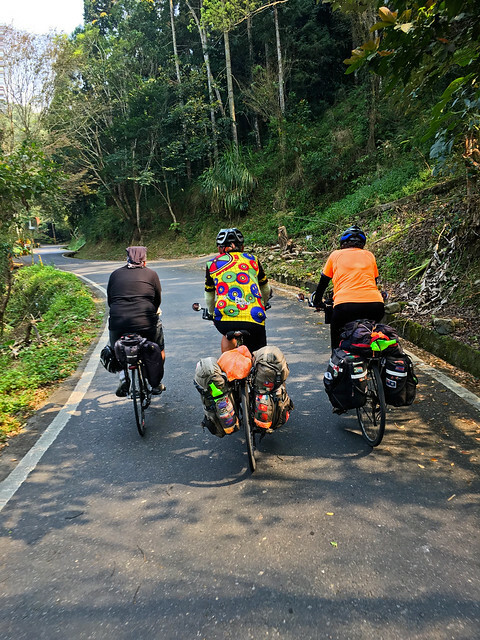 We decided to make a day of it, so I was joined by Michael Turton from The View From Taiwan in guiding these two wonderful people to Sun Moon Lake. 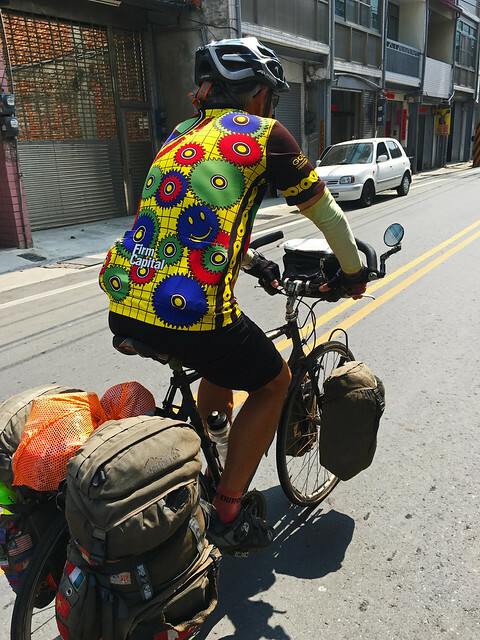 They were hauling between 15-17kg a piece and were ready to plod their way through the foothills of central Taiwan. We hit the Highway 3, which wasn't my first choice, but the easiest choice for tolling up to the lake. 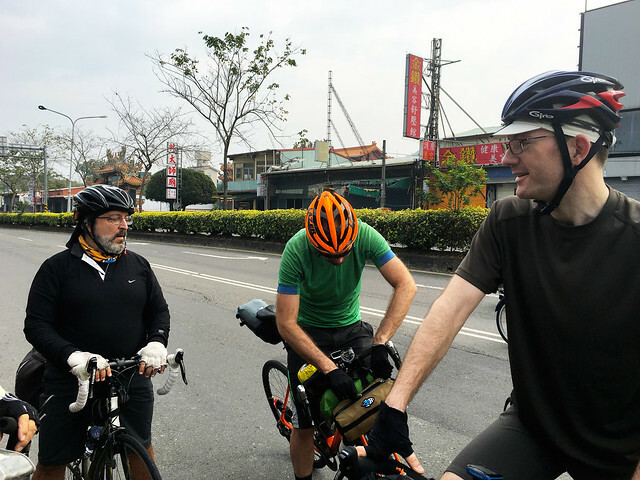 On our way we ran into a couple industry guys fleeing from Taipei Cycle to circle Taiwan in just a few days. 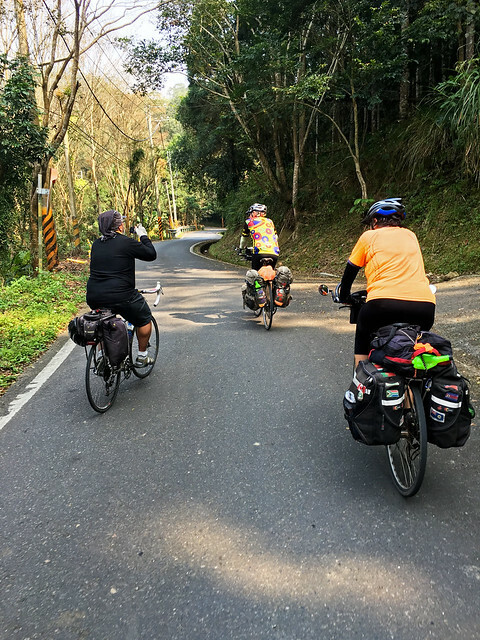 After enduring the buzzsaw of scooter racing on the Highway 14, we eased off onto the Nantou Route 6 in a pleasant respite from a major arterial. 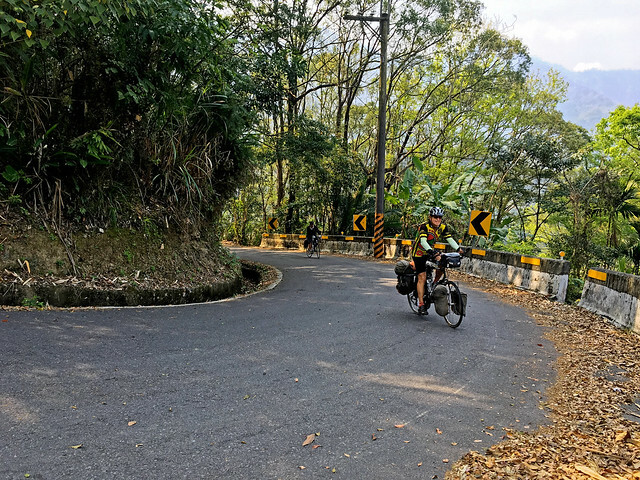 The Nantou Route 6 is relatively smooth with a couple of old tunnels that once served regular traffic into the Puli Basin. Strawberries are still in season, so we stopped for a sample at a roadside stall. The plan was to take the Route 147 to the Route 131 and then up toward the lake. After a pitstop for lunch, we were on our way. Andrew and Alison rolled steadily along and we pretended not to see the occasional *non-hill. 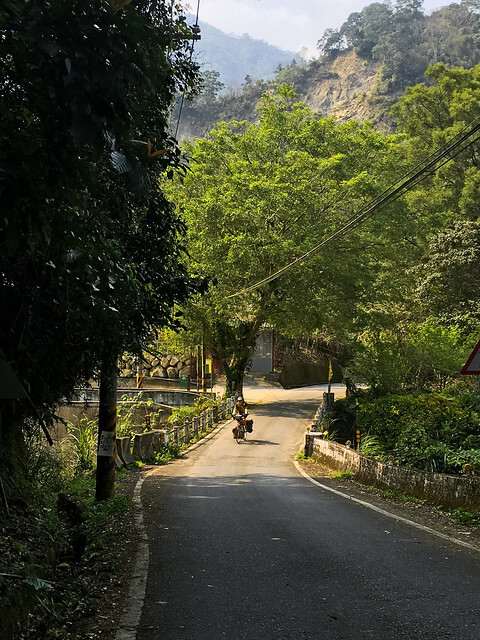 The Route 147 is a quiet, shady lane that cuts behind Jiufen Er Shan and really only has one significant climb. We eventually hit the final ramp and pushed our way to the top. 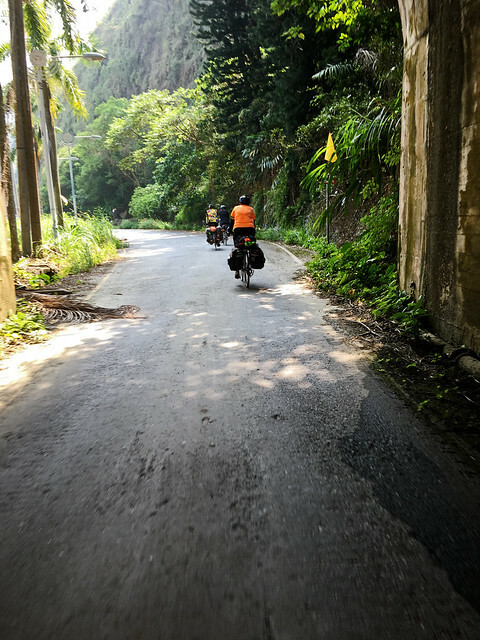 After blasting downward through hillside farms beneath tall trees and betel palms, we had landed on the 131. 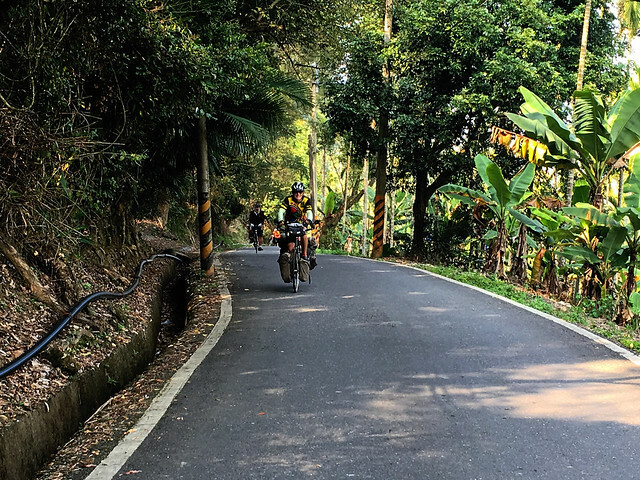 An enjoyable day of cycling doesn't have to have the highest climbs, longest distances, quad-busting speeds, or pad your Strava numbers. 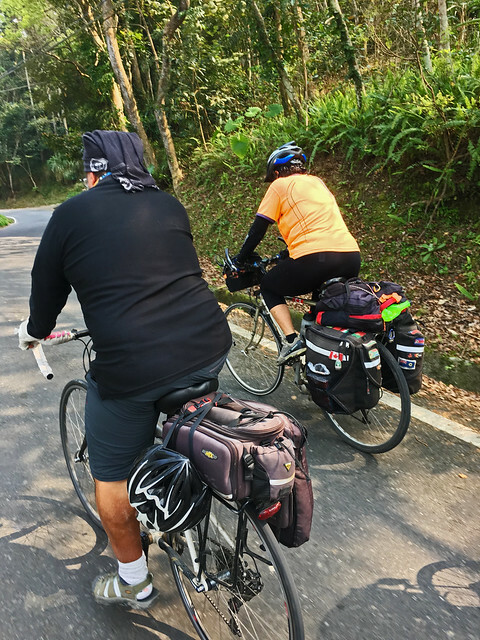 A great day of cycling is often one that is punctuated with chatter, stories, thoughts and laughter. 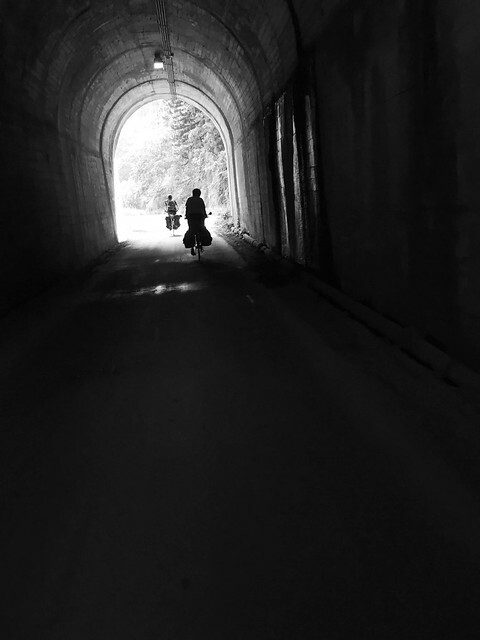 This was one of those spectacular rides on a roads that linked between people as well as places on the map. In a little postscript to our ride. 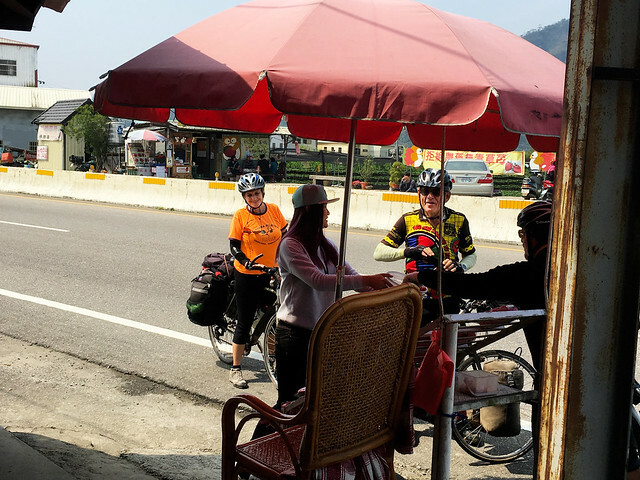 Andrew wrote to tell me of their experiences with Taiwanese hospitality and having complete strangers come out of the blue to offer them fresh fruit and lodging. 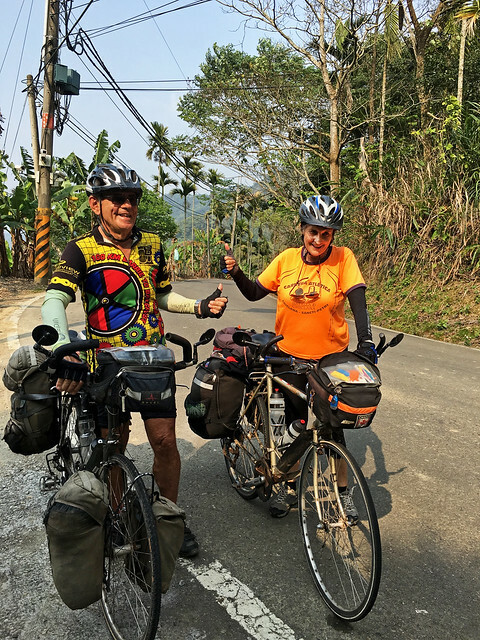 So if you happen to see Andrew and Alison out on the road, be sure to wave and even see if you can join them for a few kilometers. You won't regret it. Brings back wonderful memories of beautiful Taiwan.